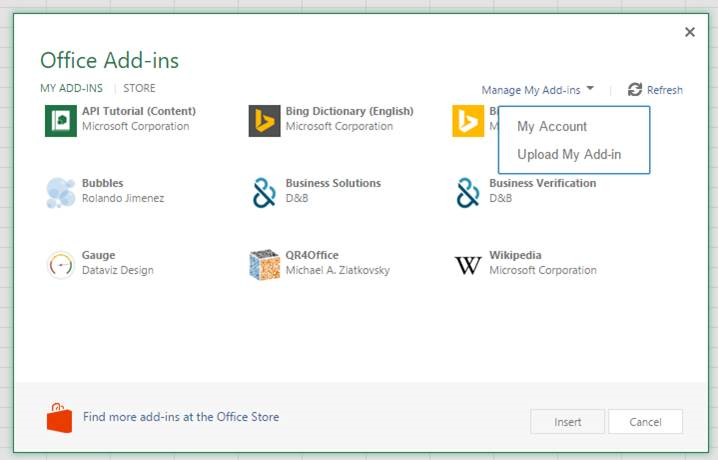 You can install an Office Add-in for testing without having to first put it in an add-in catalog by using sideloading. Sideloading can be done in either Office 365 or Office Online. The procedure is slightly different for the two platforms. The following video walks you through the process of sideloading your add-in in Office desktop or Office Online. Open the App Launcher on the left end of the toolbar and select Excel, Word, or PowerPoint, and then create a new document. Verify that your add-in is installed. For example, if it is an add-in command, it should appear on either the ribbon or the context menu. If it is a task pane add-in, the pane should appear. In a Windows Command Prompt, run the following line: CheckNetIsolation LoopbackExempt -a -n="Microsoft.MicrosoftEdge_8wekyb3d8bbwe"
Enter “about:flags” in the Edge search bar to bring up the Developer Settings options. Check the “Allow localhost loopback” option and restart Edge. 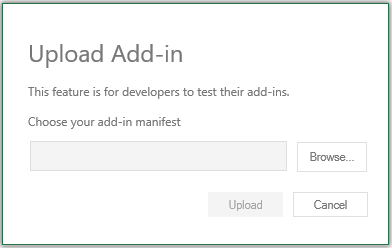 If you're using Visual Studio to develop your add-in, the process to sideload is similar. The only difference is that you must update the value of the SourceURL element in your manifest to include the full URL where the add-in is deployed. Although you can sideload add-ins from Visual Studio to Office Online, you cannot debug them from Visual Studio. To debug you will need to use the browser debugging tools. 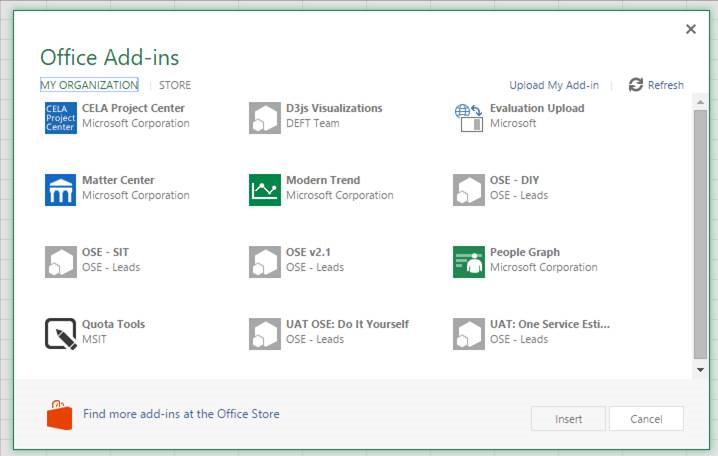 For more information, see Debug add-ins in Office Online. In Visual Studio, show the Properties window by choosing View -> Properties Window. In the Solution Explorer, select the web project. This will display properties for the project in the Properties window. In the Properties window, copy the SSL URL. In the add-in project, open the manifest XML file. Be sure you are editing the source XML. For some project types Visual Studio will open a visual view of the XML which will not work for the next step. Search and replace all instances of ~remoteAppUrl/ with the SSL URL you just copied. You will see several replacements depending on the project type, and the new URLs will appear similar to https://localhost:44300/Home.html. Right click the web project and choose Debug -> Start new instance. This will run the web project without launching Office. From Office Online, sideload the add-in using steps previously described in Sideload an Office Add-in in Office Online.